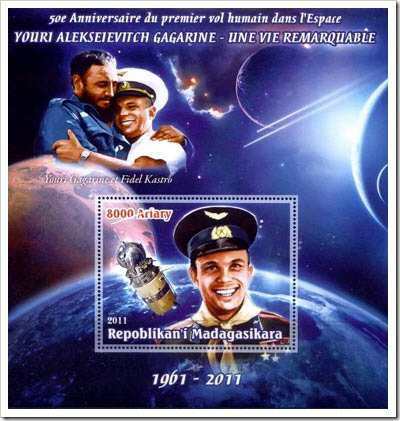 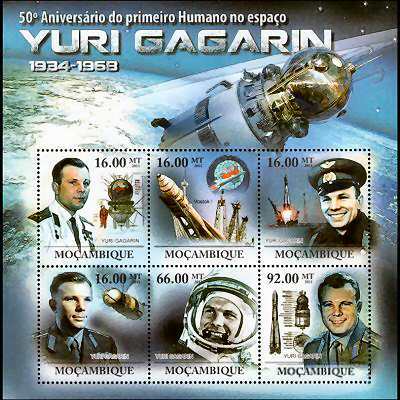 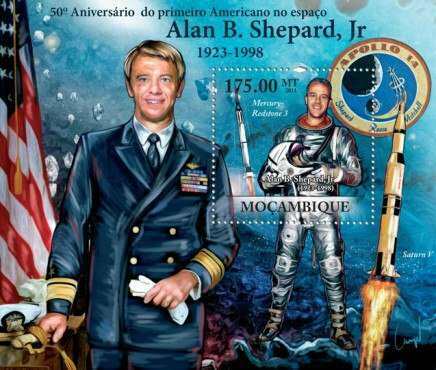 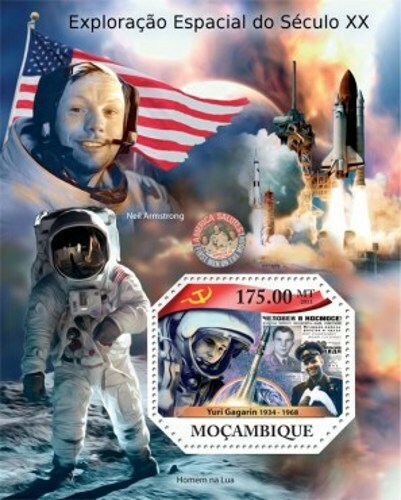 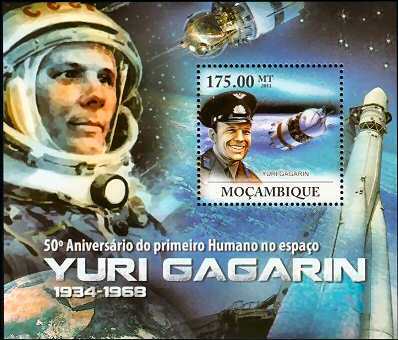 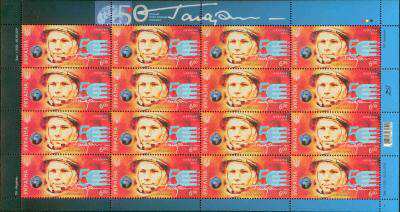 Mozambique - 50th anniversary of the first man in space. 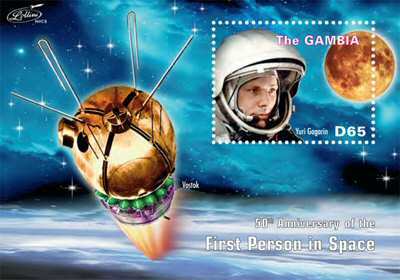 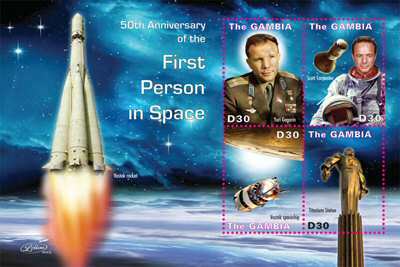 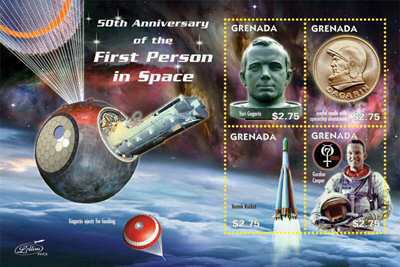 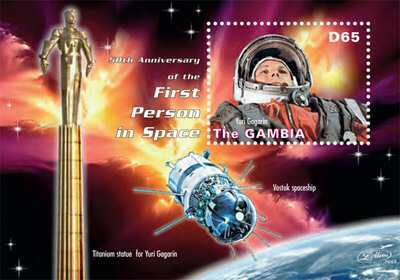 : On January 20 Ivory Coast issued two minisheets of one stamp each commemorating 50 years of manned spaceflight and president Kennedy. 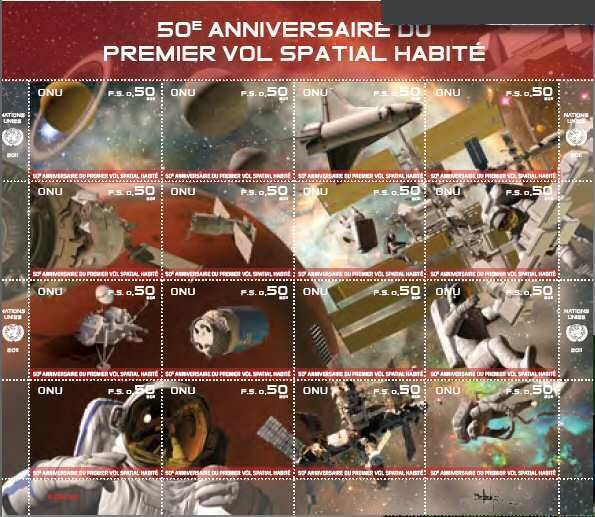 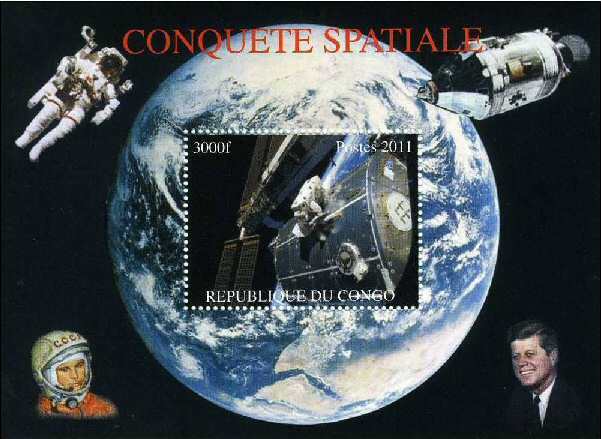 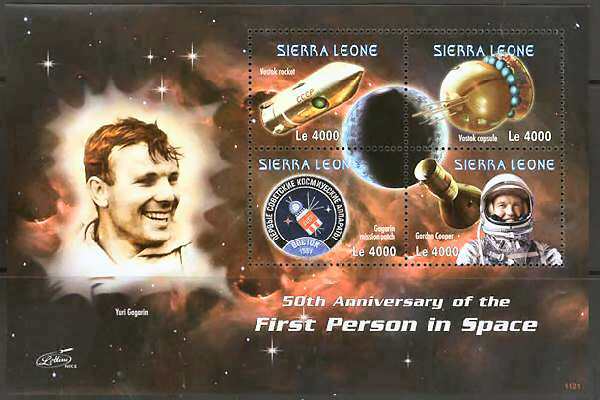 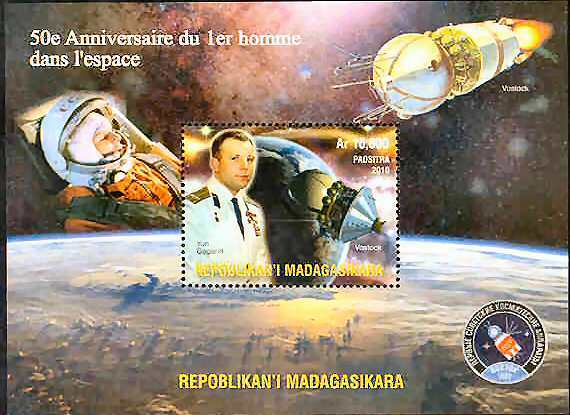 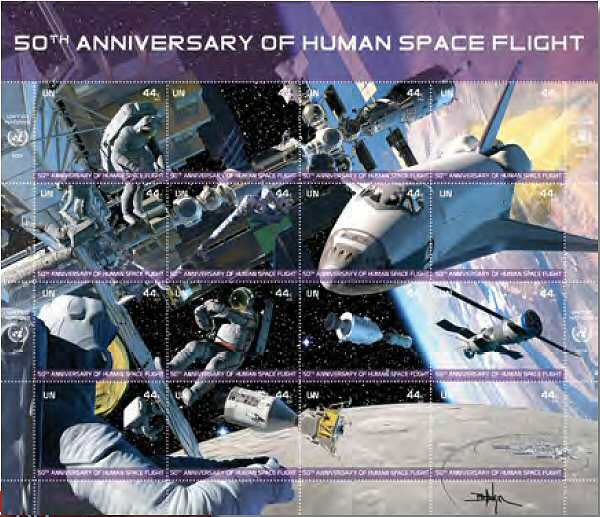 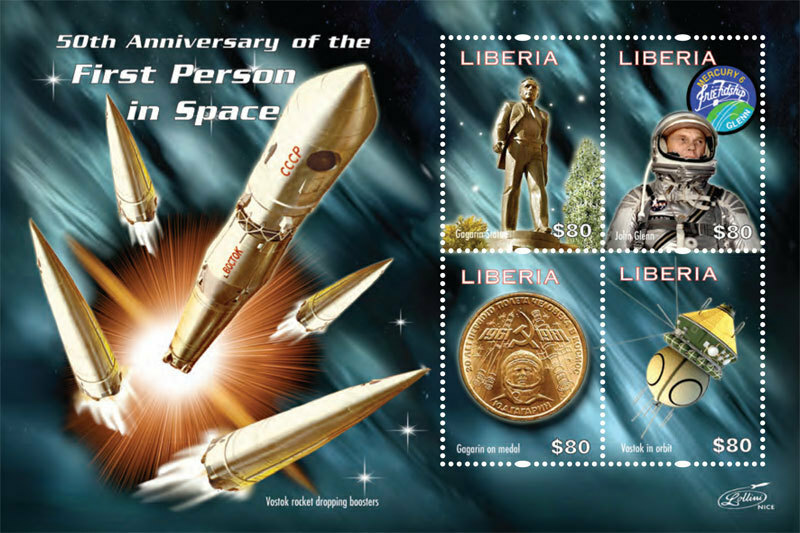 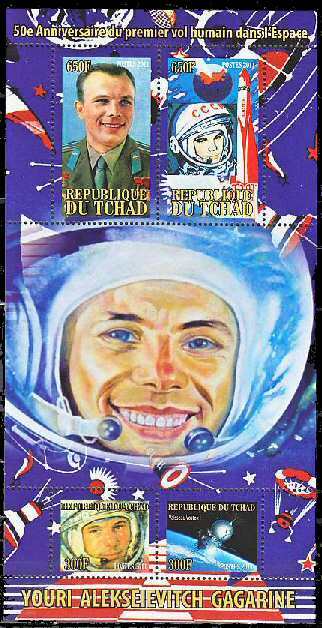 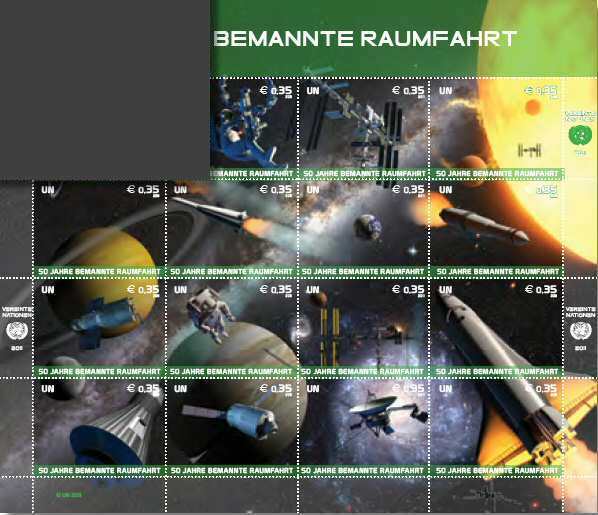 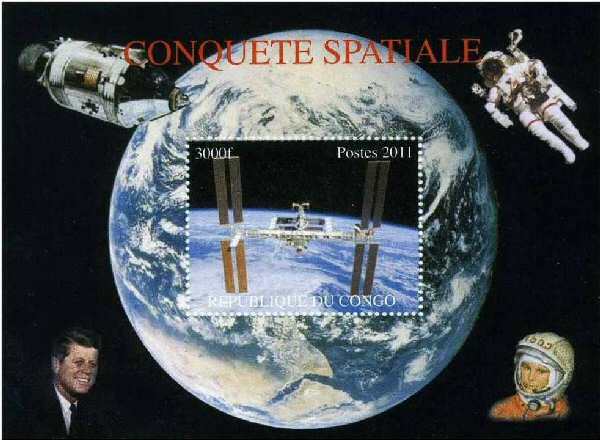 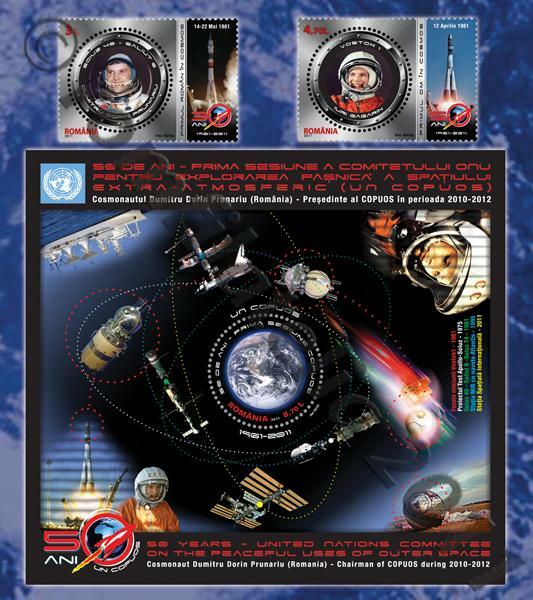 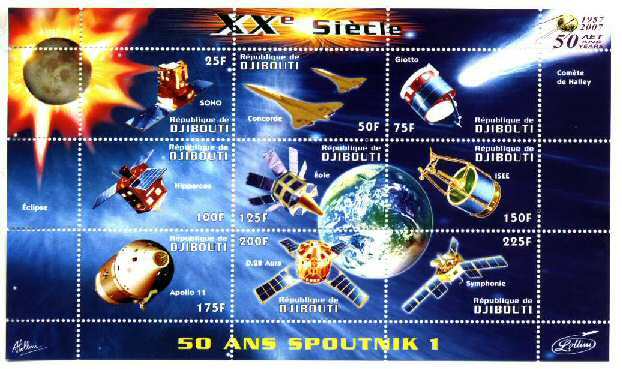 :On April 12 the Ivory Coast issued a large number of minisheets to commemorate 50 years of manned spaceflight and NASA. 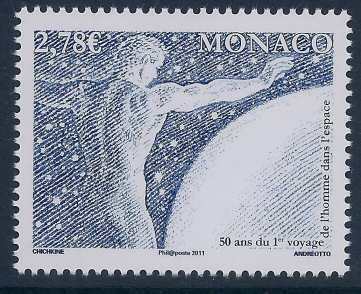 One is shown below. 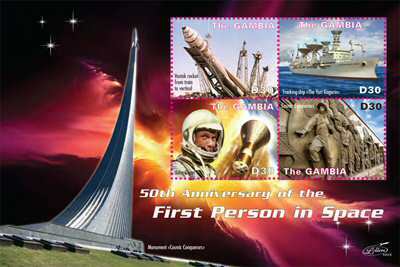 : On April 12 Somaliland issued two sheetlets of four stamps each. 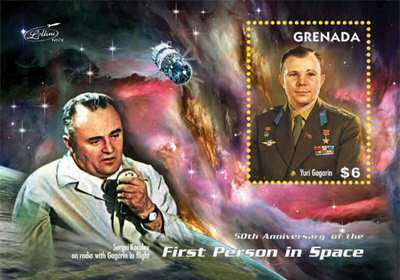 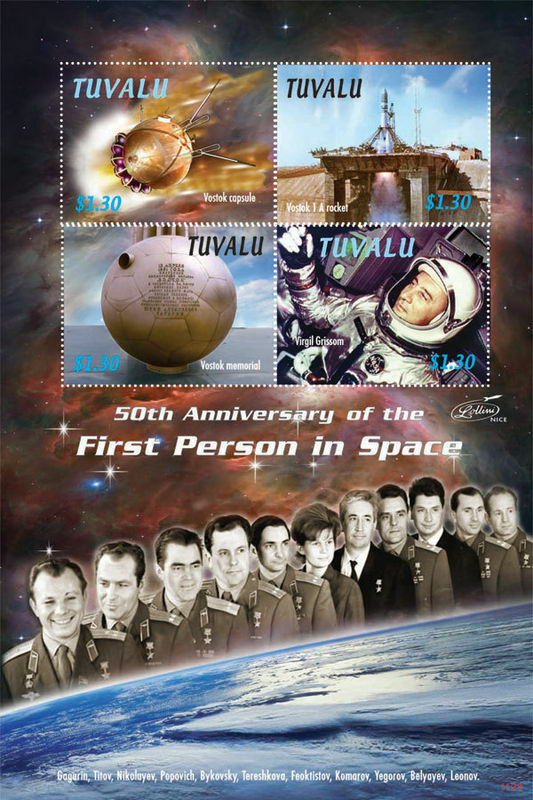 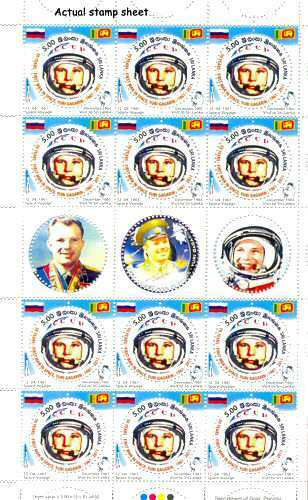 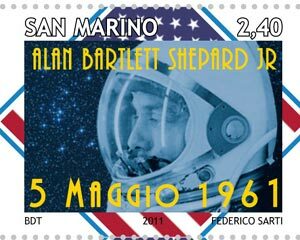 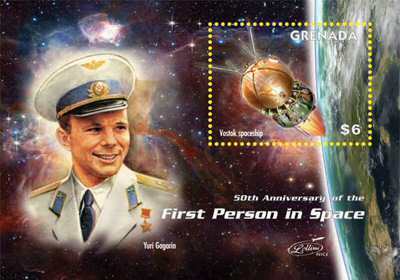 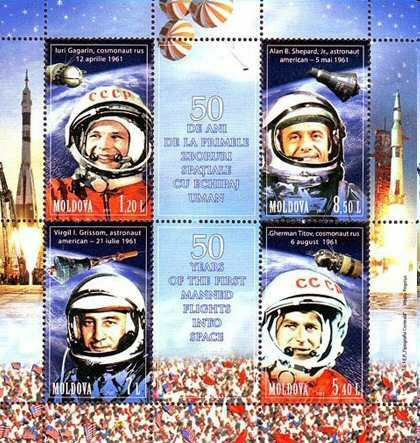 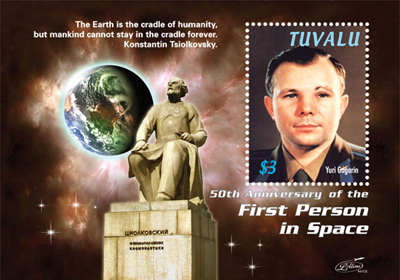 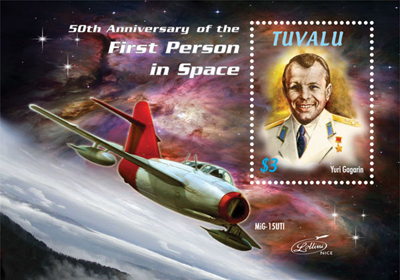 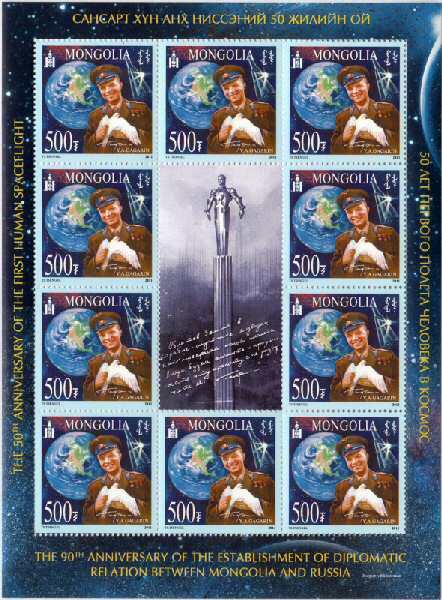 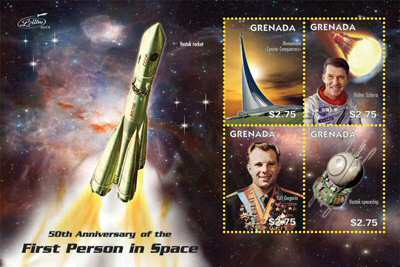 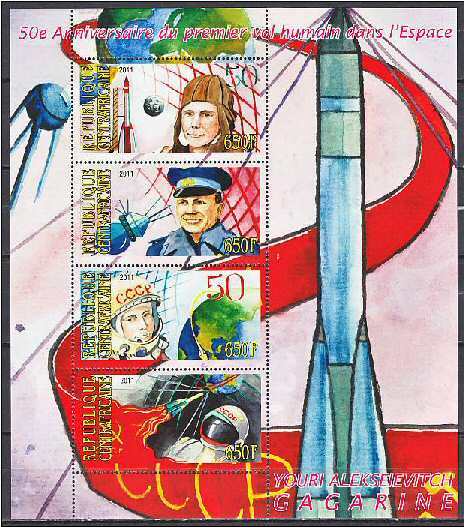 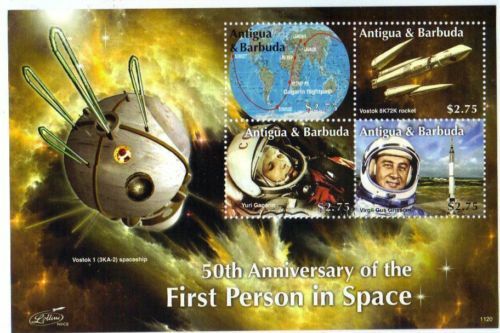 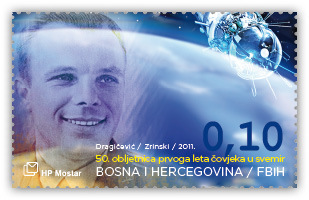 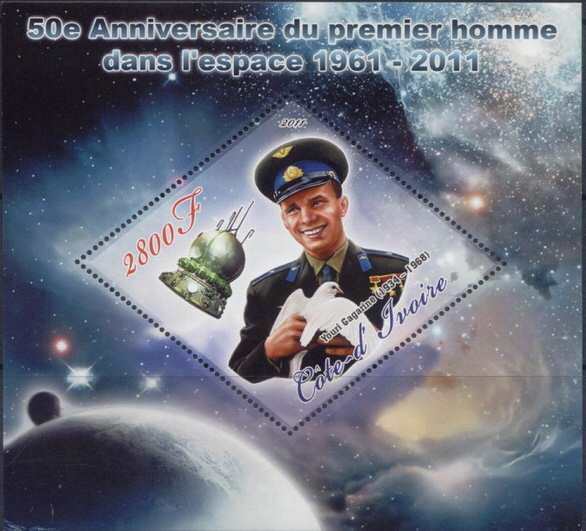 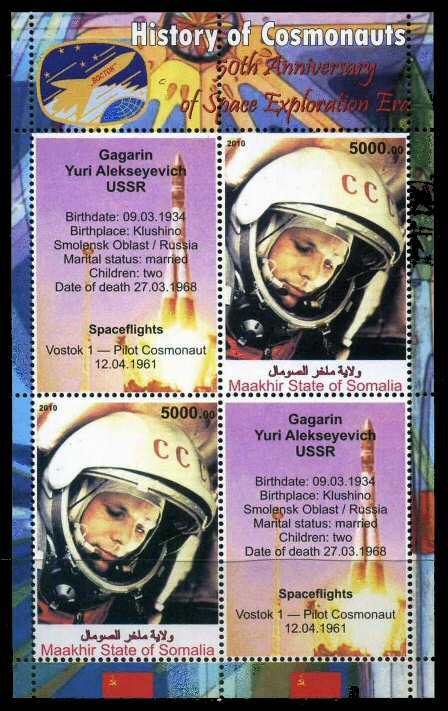 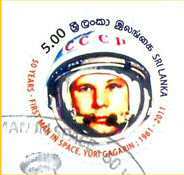 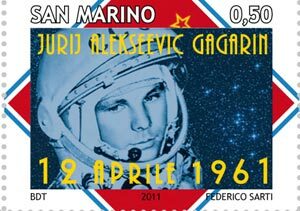 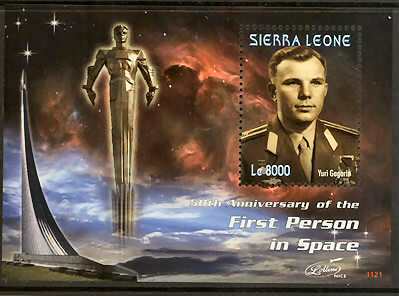 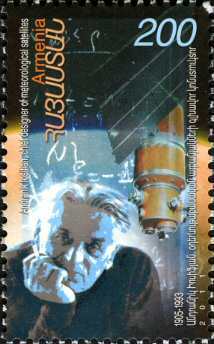 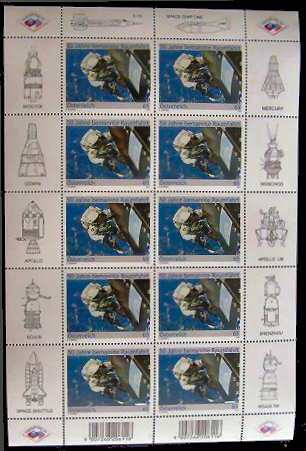 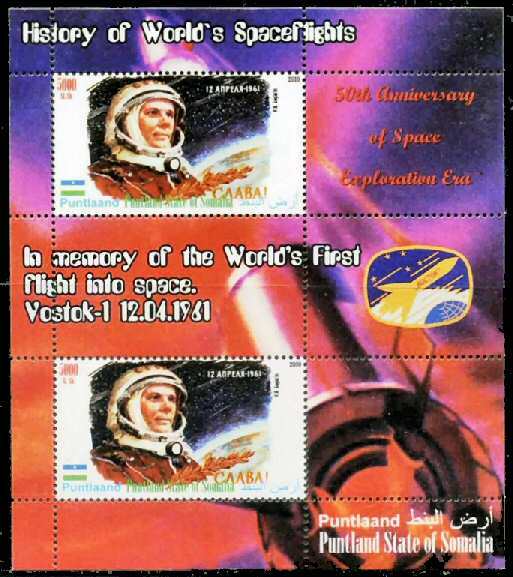 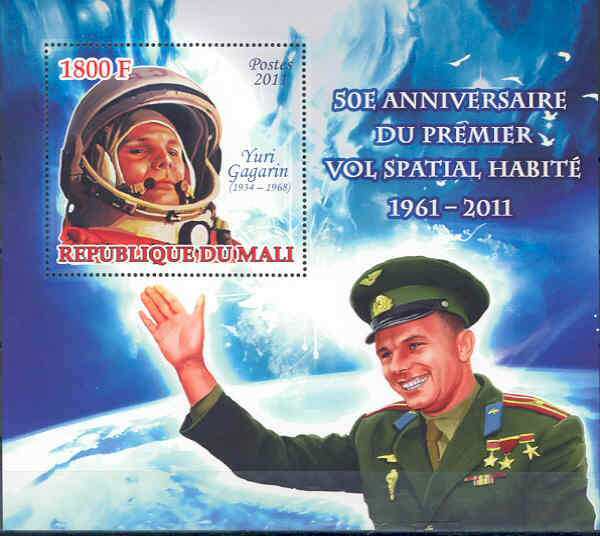 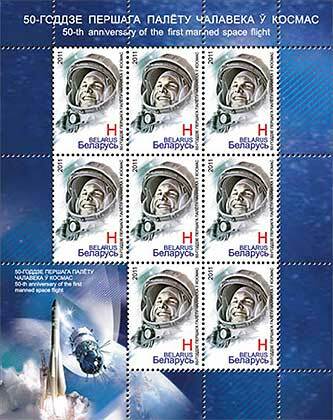 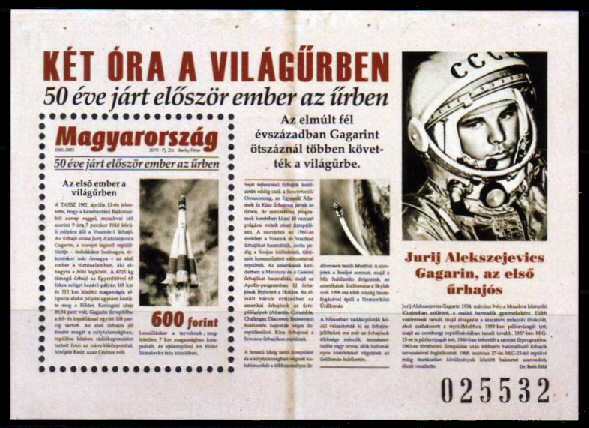 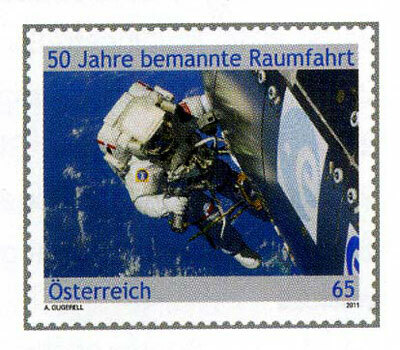 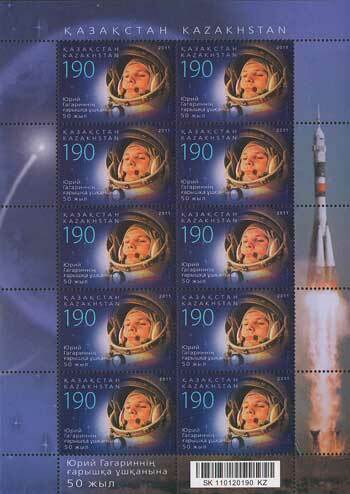 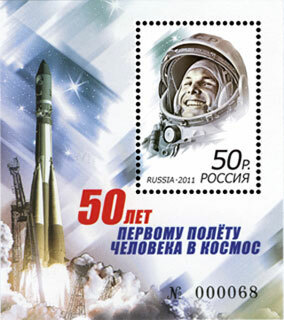 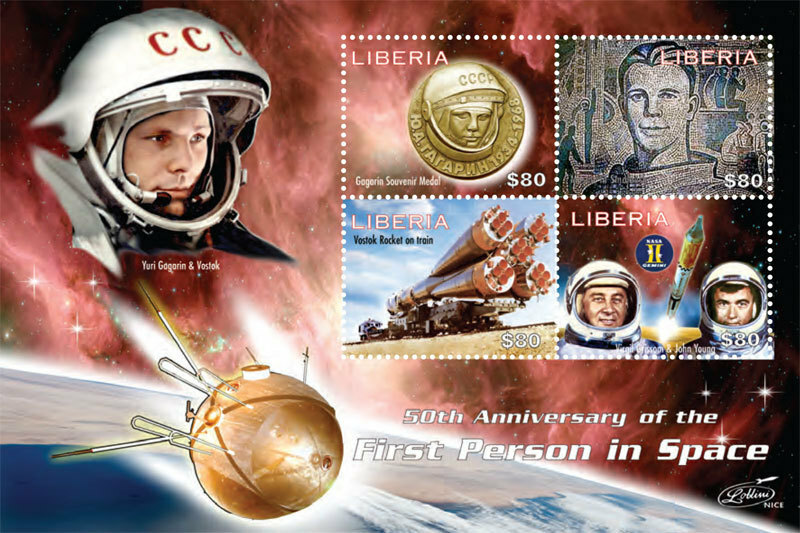 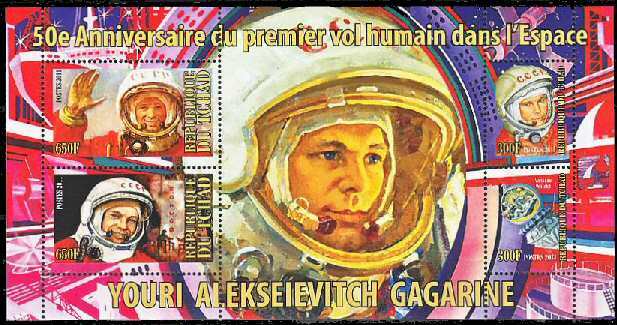 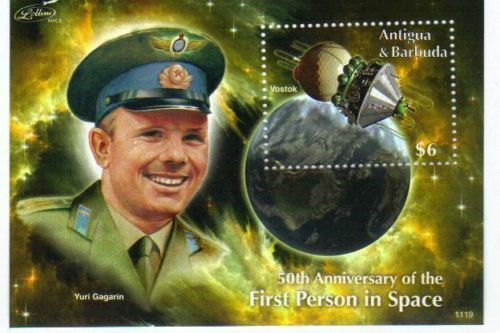 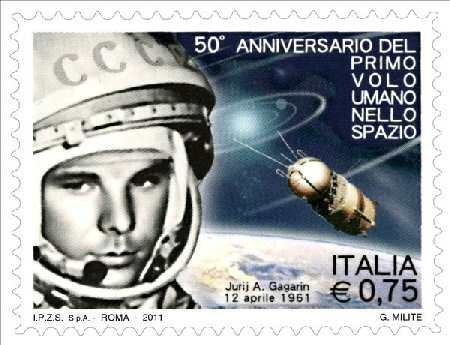 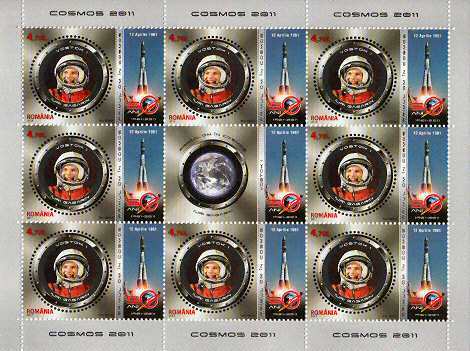 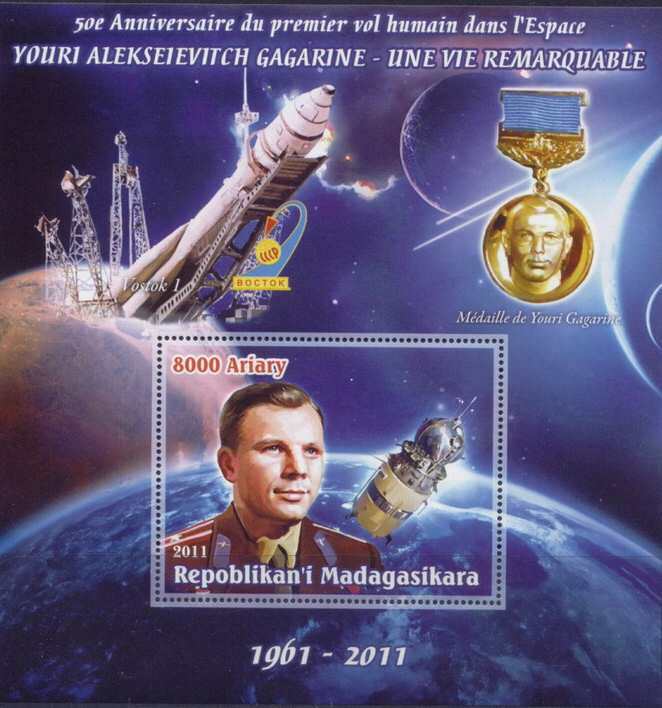 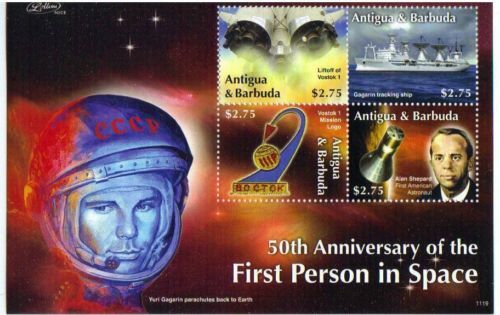 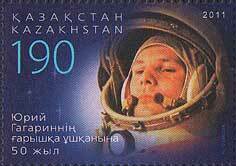 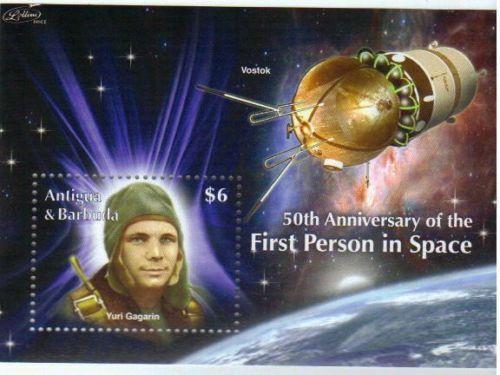 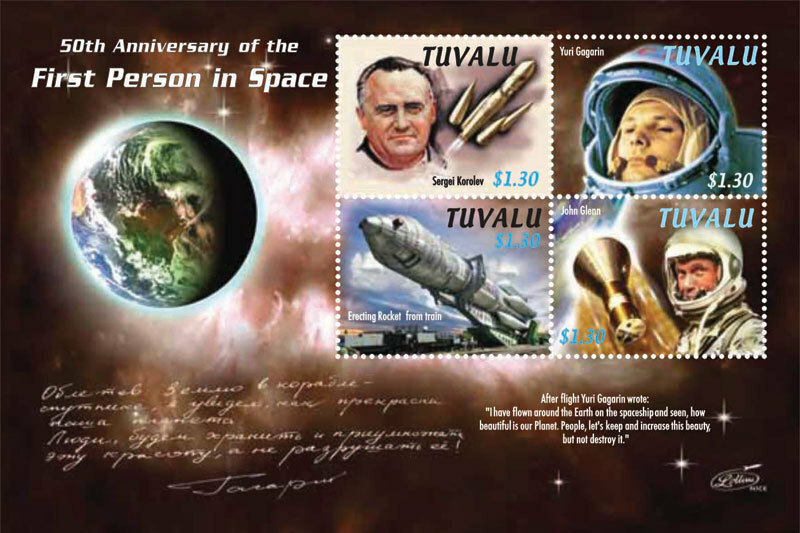 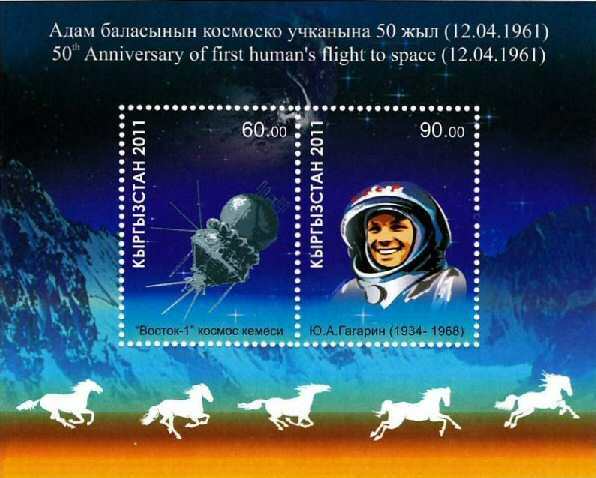 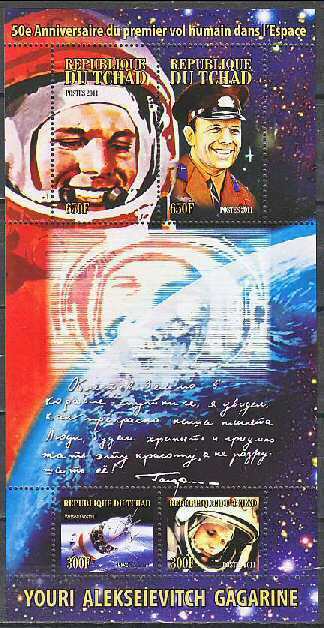 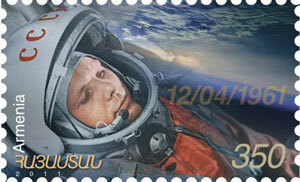 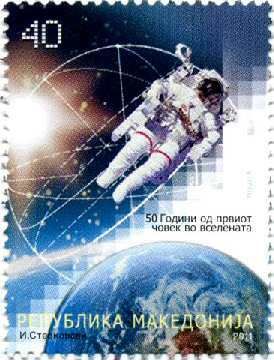 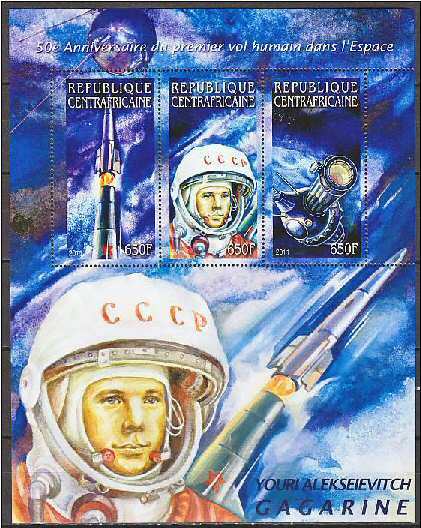 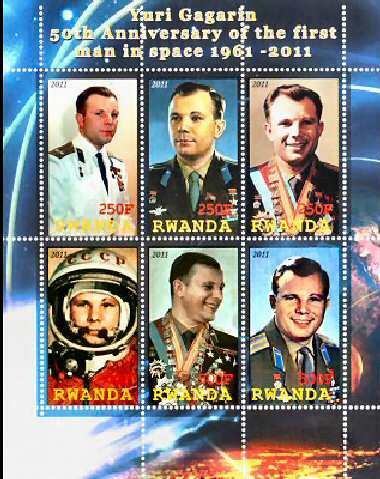 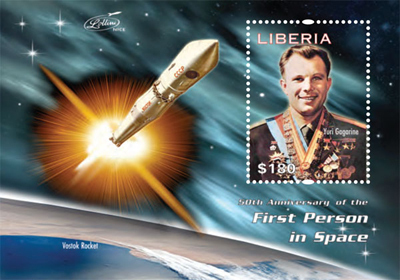 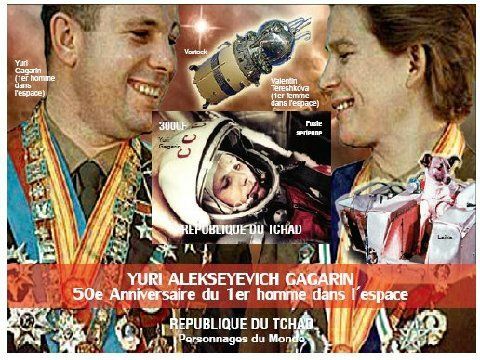 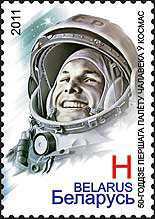 :Two regions from the former USSR also issued stamps for the 50th Anniversary of Human Spaceflight. 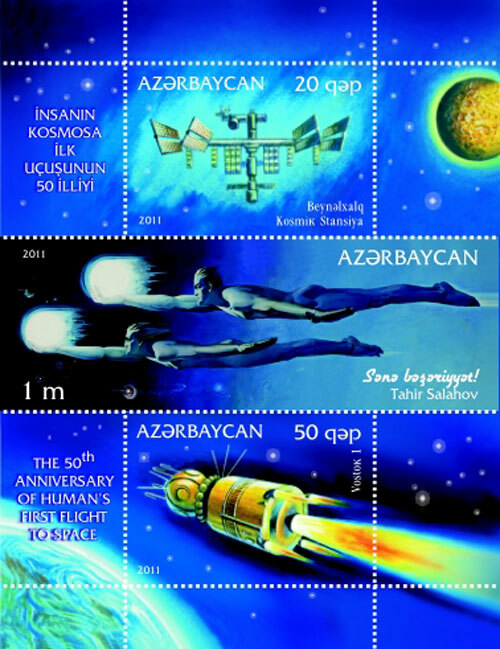 These regions are not recognised as countries by the International community. 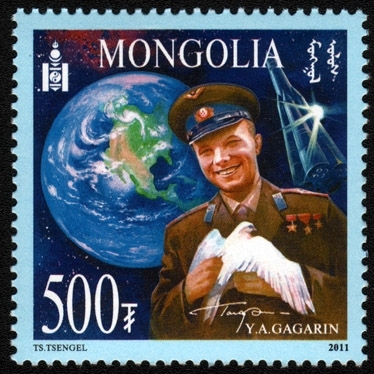 They are disputed areas from the former Soviet Union which have varying degrees of autonomy. 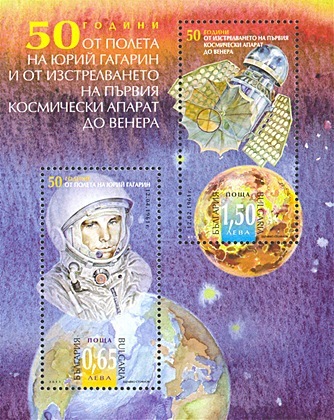 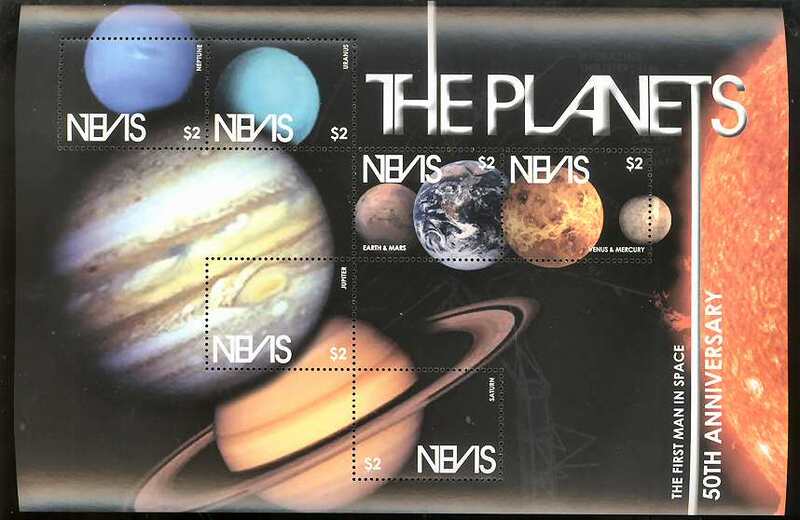 Their stamps are, at best, described as locals. 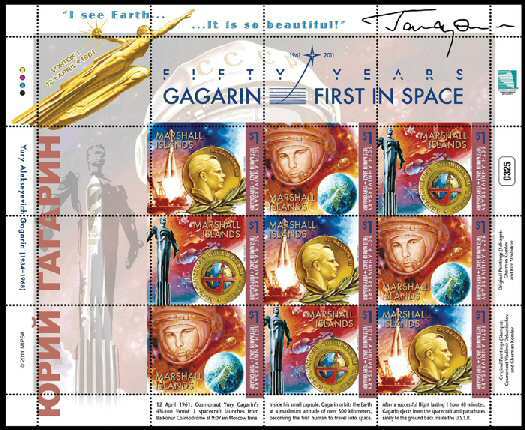 They are Nagorno-Karabakh and Tranistria.